Dura-Tech® Superior Sweats Neoprene Full Neck/Chest/Shoulder with Surcingle | West4us.cz - Nejen westernová móda, dovoz z USA, skvělé ceny. Sweats are an important piece of equipment when fitting and conditioning halter horses or enhancing a horse’s definition and appearance. Sweats will eliminate the excess fat in the neck, crest and throatlatch areas. 1. Decide what areas of the horse need to be defined or enhanced. 2. 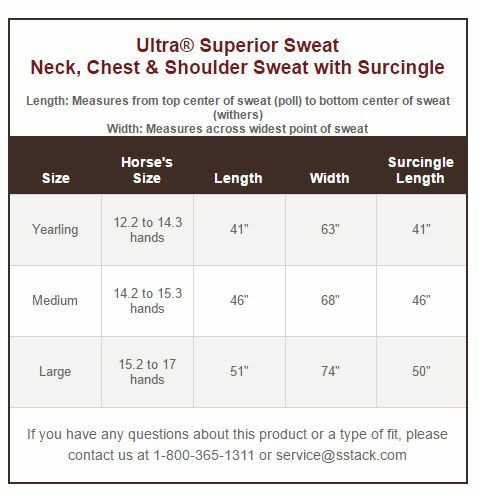 Select the correct size and type of sweat for the individual horse. Sweats are made of material that will encourage a horse to sweat. The most commonly used materials are neoprene, wool or felt as they are known to generate the best heat. Sweating lotions can be used to help generate heat for faster results. The key to applying a sweat is to be sure the fit is snug to ensure contact is made to the entire area. If a sweat is a tad loose, air will come in and keep the area cool and you will not achieve the full benefit. If using a neck sweat, be sure to smooth away any wrinkles so the sweat lays flat against the coat. For best results, layer sweats. It is important that each layer of sweat equipment applied is flat and snug. When sweats are applied, lunging or exercising the horse will produce a vigorous sweat and achieve the desired result quickly. Another method would be to apply the sweating lotion and the sweat. Cover horse with a cooler and let stand in cross ties for about a half hour to allow the sweating lotion to start generating heat. Exercise or lunge your horse as you would normally. 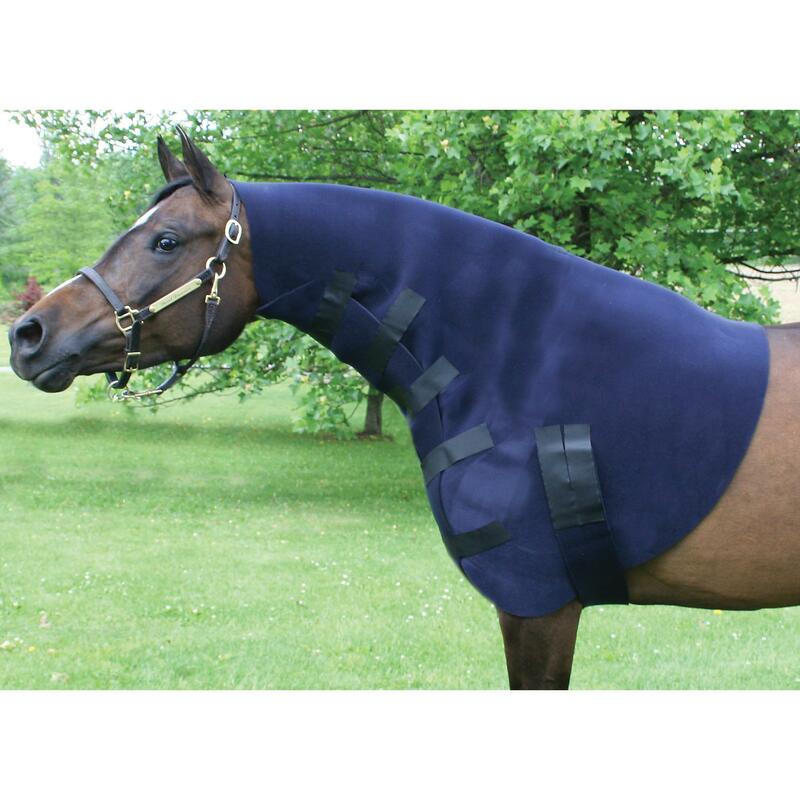 After the workout, allow horse to cool out in cross ties before removing the sweat. Be sure to wash sweated area thoroughly afterwards. Neoprene sweats should not be left on overnight or for extended periods of time. Horses wearing sweats should not be left unsupervised for extended periods of time. After the sweat is removed, it is important to thoroughly rinse the area to keep the skin from being irritated and eliminated debris build up.